One of our perennial topics is how to organise your digital music as a DJ. That’s not surprising: if you’re used to records or CDs, digital suddenly seems, well, virtual. And even if you’re a new DJ starting out with digital, you’ll still want to develop a system that works for you. You’re probably also curious as to how other people organise their collections. So following several requests, I thought I’d lay out exactly how I organise my DJing music in iTunes, to let you see one system in some detail. I’ll tell you exactly what I do, and explain all of my thinking along the way. In our household, we use iTunes for everything. 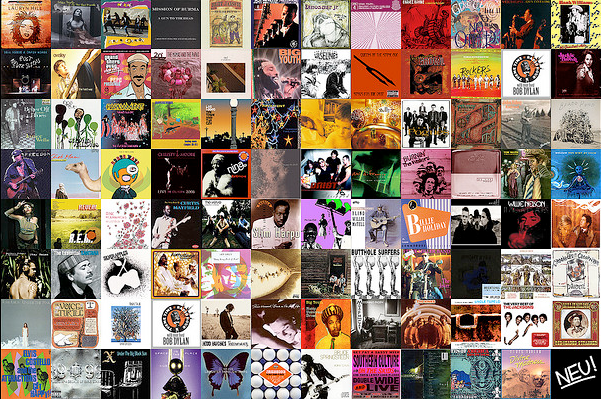 All our music. No separate libraries, no separate computers. I have my indie records from when I was a teenager, we have rock and jazz and Latin music, and my partner has her Ministry of Sound dance compilations and old Madonna LPs from the 80s, all jumbled up with new promos and current bombs. We do this not only because it’s easy and we’re lazy, but also because I have an all-inclusive philosophy when it comes to music. No music is off-bounds or taboo! I have different types of gig. I play “sundowner” gigs (my favourite 🙂 ), but I also play club music. I play private parties. I want to play more indie sets. Therefore I need a way of keeping my sets for various venues/gig types nicely organised. I never play just one style of music in a set. If I did, I could maybe sort by date and genre (and possibly rating) and be done with it. But I don’t; I go all over the place. That means I need a way of pulling disparate record together that suit a particular venue. It also means I need a nice way of reminding me what I’ve done in the past. I believe in preparing a set for each gig. That means thinking about, and packing, a “box” of tunes for that week only. 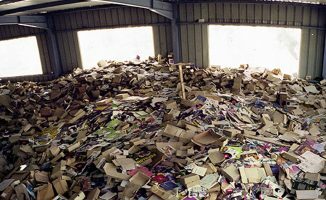 I don’t like turning up and playing out of a collection with 100s or 1000s of unsorted records in it. It feels like I haven’t done my homework. When I used to DJ with vinyl, I had a room that was dedicated to my DJing. 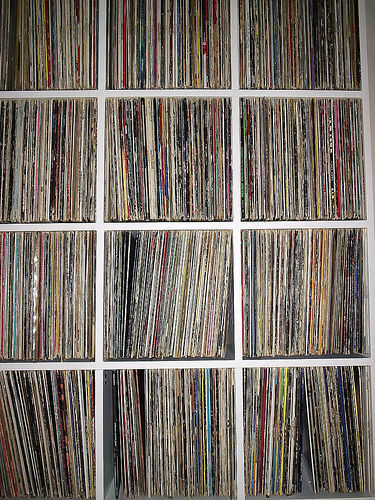 I had a whole wall with shelves that I built myself especially for my records. I had everything sorted in genres, and also had a section that was just current music, of any genre. I think iTunes is a wonderful program, and even though it has things I’d change (I want a back button for browsing, and I want the search box to keep what I typed into it when I switch folders or playlists, for instance), I do not intend to ever use anything else. My system is based around doing all the hard work in iTunes, then opening my iTunes playlists and playing from them in my DJ software. So my system is based around doing all the hard work in iTunes, then opening my iTunes playlists and playing from them in my DJ software. To show you how I do it, we’ll concentrate on preparing the tunes for one regular gig, and you’ll see how it can be applied from there to all my gigs. I’ll use an imaginary new weekly residency that I’ve just managed to land for myself, and let’s call it “Digital Nights”, after this very blog. 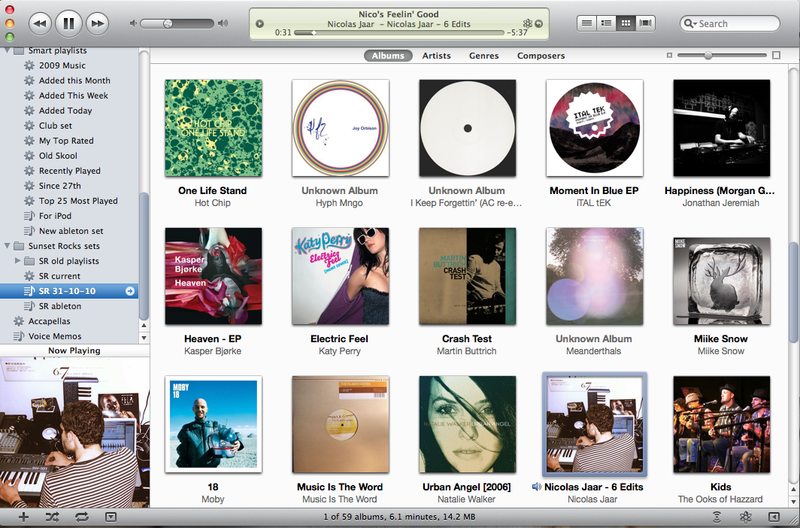 This is how I’d separate out the tunes I’m interested in within iTunes for “Digital Nights”:. Tags can be added to the Grouping column in iTunes (click to enlarge). I tag all the tunes that are suitable for the gig by going through my whole collection. I do this by opening each track’s info dialogue box (you can highlight and do this in bulk) and in the “Grouping” column putting “Digital Nights”. I set up a smart playlist called “Digital Nights Current”, by going to File > New Smart Playlist. On the dialogue box that opens, I set the rule to be “Grouping contains Digital Nights”, making sure that only “Live updating” is ticked out of the options. This playlist now contains every tune in my collection that I have tagged “Digital Nights”. Whenever I add or remove that tag from a tune, the playlist updates automatically. Whenever I open my DJ software, there they are, all up to date. However, this list is going to grow quickly. After six months of gigs, I will have many hundreds of records tagged “Digital Nights”. Also, when I’m listening to (say) an album at home, I may leap up and say “that’d be great at Digital Nights!” and tag a tune off an old Fleetwood Mac record or something, only to think better of it later (or when more sober). So next, let’s look at my way of preparing a DJ set for any given night from my pool of records that I could>/em>play at that residency. This next bit is the equivalent of preparing a box or two of records or a CD wallet before a traditional DJ gig – say 50 to 150 tunes. Before we do that, though, let’s make a folder to keep all the Digital Nights stuff in from now on. In a minute we’ll add another “Digital Nights” playlist, so to keep things neat, I want a folder to start keeping all the stuff for this particular residency in. So I add a simple folder called “Digital Nights sets” by going to File > New Playlist Folder. I drag the “Digital Nights current” smart playlist into it. This is now where all the “Digital nights” stuff goes. Noe we’re ready. I work through the tunes, dragging the ones I want to play tonight to the “Digital Nights mm-dd-yy” smart playlist. I am working from newest to oldest, and of course I can listen as I go along. At the end of this exercise, I have a “box” of records “packed” for tonight’s gig in the “Digital Night mm-dd-yy” playlist. Remember, when I open my DJ software, this playlist is there for me to play straight from. I can play my gig from that playlist, knowing my homework is done, but still having all my other suitable tunes to hand in the “Digital Nights current” smart playlist as well. 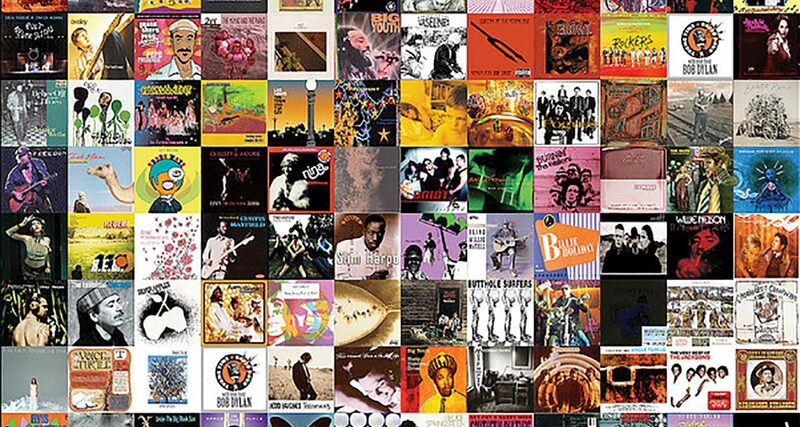 Managing a DJ collection in iTunes is painless and feels as close to real records and CDs as you\’re likely to get. So we’re back from the gig. Some tunes worked, some didn’t. Now we’re getting on to the beauty of this system, and why it’s so powerful for me. First, though, we need to do one more thing, and that is make a folder for all of our old sets. We only have one old set at the moment, but next week we’ll repeat “Preparing tune for a set” above, and make a new dated playlist, and soon we’ll have dozens of these actual sets. We need them tidy, but there’s another reason for gathering them all in one folder too, which we’ll, get to. Speed of packing your weekly box. When you’re preparing next week’s set, you can select last week’s playlist in the “Digital Nights old playlists” folder and immediately copy across all the records you want to play again. It’s like starting with the week before’s record box. If you do this as well as checking through the “Digital Nights current” smart playlist (for all your new tunes you’ve tagged “Digital Nights” in the meantime, and maybe a couple of classics you want to throw in that are older and that you didn’t play the week before), you can have a set ready in no time. You can to separate your current tunes from those you’ve ever played at the residency. This is a powerful feature. 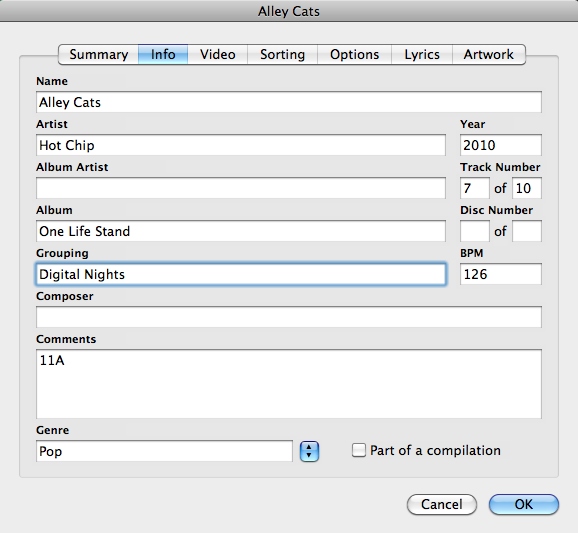 If you open the “Digital Nights old playlists” folder, you can look back on previous sets, either when preparing a set, or actually while DJing. The tunes will still be there even if you’ve untagged them in the meantime, because this is a “normal” playlist, not a “smart” playlist. But the really powerful thing is that if you highlight just the “Digital Nights old playlists” folder, iTune will list ALL the tunes you’ve EVER played at that particular gig – again whether they’re still tagged “Digital Nights” or not. Great for New Year’s Eve, or a bit of inspiration when your new tunes are temporarily not doing it for you. This way you don’t need to worry about aggressively pruning your main collection for that particular residency on a week by week basis, as all of your actual, real-life sets are preserved and easily searchable. Ability to use the same tune in more than one gig/residency. Say you end up playing Daft Punk’s “One More Time” everywhere you go – cool residencies, weddings, your big Saturday club gig – everywhere! In the Grouping column you can tag it with all of your gigs, so it may say “Digital Nights, weddings, Saturday Club” – whatever. This system handles this with no problems. And if you just decide you hate it and never want to play it again, you can remove it from all your gigs in one go by deleting whatever you’ve written in “Grouping”. Done! Let us know your experiences of using iTunes and Traktor Pro together. 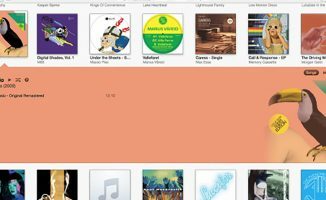 Some users have reported issues with playing from iTunes playlists where certain information, particularly cue points, doesn’t get remembered. I’d love your input if you’re a Traktor user with experience of it. One way around it might be to do something similar to what I’ve described but using a program like Trainspotter to manipulate the actual Traktor database and not using iTunes at all – but I’d love to hear from our seasoned Traktor/iTunes users as to what the real state of play is here. I’ll update the article accordingly. So there you have it! It works for me. I hope it was of some use to you in working out how to organise your own sets, especially if – like me – you want to do it in iTunes. 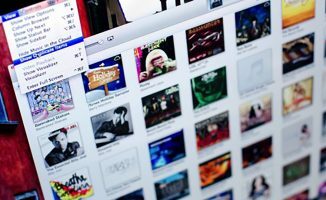 I haven’t moved on to keys, or BPMs, or backups, or any of the other things that go with maintaining a music collection, as this post was specifically about gig playlists – but there’s plenty of time for all of that. How do you organise your DJ sets? Do you have any tips of tricks to get iTunes playing nicely with Traktor or any other DJ software? Please share in the comments. 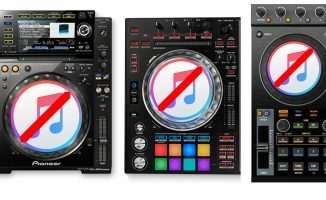 Is It Time For DJs To Ditch iTunes? Over To You: How Should I Organise My Playlists? I use Traktor Pro and Itunes in the same manner and my cue points get remembered and works wonderfully (if that’s a word..lol). I actually use a Toshiba so I’m wondering if this is a Mac issue. I put all my MP3s into an external HD and organize them using playlists based on a vibe or style. I never get too deep in subgenres unless I see that a playlist is getting too much music to manage. For a gig I’ll just make a playlist and copy stuff into it as an easier move for me to find what I really want to play at said gig. I also put the date of when I get the tune in the comments area on the ID3 tag. That way I know how old something is. Great article, i found it very helpfull and recognisable, cause my style of preparation is kind of the same. But I do have one question. I have a pc and a laptop with music on. I use my laptop to dj, but I also use my pc to download and buy songs. Now is my question to you, how can I sync my laptop and pc so they have just one big library and so I can update it whenever i’m on my laptop or pc? How would you solve this problem, phil? Hi Friend… Could you translate the expression venues and gig. I just find iTunes really annoying for “Everything”. how far is too far to scroll? agree with your comment on the search memory – why can’t it remember like every other music/search application? I’ve opted for separate libraries which has its plus and minus points. I have no real solution, but wanted to contribute anyway. nice article! one thing that would trouble me with this way (I currently have all my music in iTunes, and my gig music in a special traktor folder/collection with playlists in traktor.) is that you also have to beatgrid your tracks. When you have created the playlist for the specific gig, do you just load up traktor, open that playlist and look if any of the tunes in there still need beatgridding? Exactly Sander, that wold seem the best way. I am not a big Traktor user – is there an easy way to check if tunes have been beatgridded? Yes, you can see it in the browser so that is not too big of an issue. The only that could play up from time to time is when loading an older tune it might not be beatgridded but that being the only problem I think it’s a good solution. Because of not having to beatgrid your tracks, may I ask what software you are using, Phil? Another awesome post. You just saved me time to figure out how to properly organize my collection. Good method! I may alter this in some minor manner, but it is a very logical and practical way. Big thanks Phil! I am using itunes to create playlists for what I consider djable material. My problem is that recently I discovered that itunes is not so reliable. When it crashes it can lose your playlists and then you are screwed. Also sometimes it mixes songs from neighboring playlists. I am still using it but cannot trust it. The only solution I found was to backup my library often. Hey Chris, I’ve never used network sharing within iTunes, maybe I should! I’ve also got AirPort but gave up with it because whatever I try, it keeps dropping out on me for a few seconds every few minutes. Works on the “grouping” principle, but allows you to append existing tags in bulk. Yet to try, but will be doing so. Phil, Quick Tag is still downloadable but looks like no longer in development, support pages have disappeared. Any suggestions for alternative multiple tag editing software for Mac? …but i’ve got one problem. i imported some cover art by tuneup. now i can see all of them in itunes but they are still missing in traktor. is there a possibility to show them in traktor? 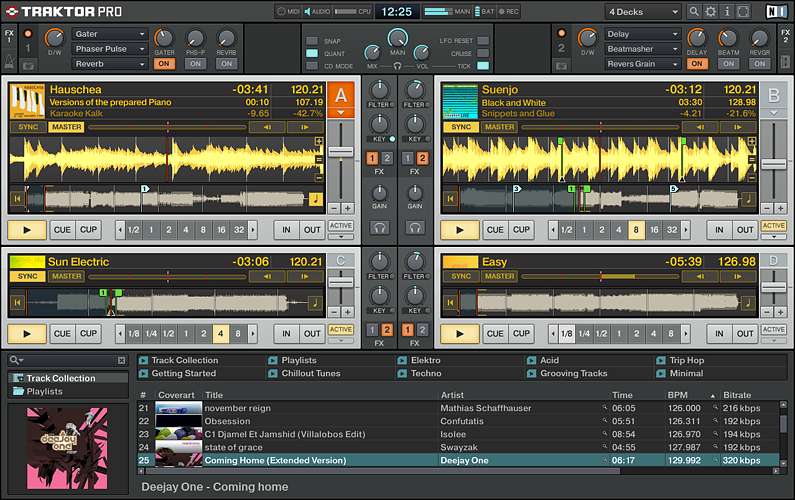 Select the songs you imported new cover art for and right click and check consistency in traktor. i use itunes in combination with traktor only for a short while. it works if i add the itunes-playlists to the traktor-playlists. Strange. My Traktor Pro does not updates seamlessly the smart playlists when I add a new song in iTunes. Sometime they just don’t appear under the related folder of the corresponding iTunes section. To Tamas: It won’t update on the fly – you’ll need to at least quit and restart. does that solve it? @Tamas what version of Traktor are you using? Yes, the procedure is the one that you wrote. Thanks for your help. The problem is when I open the folder called Lounge under the iTunes section (right under Library, Music, Movies, iTunesDJ) it includes only the Best of Lounge smart playlist. There is no current Lounge playlist. The Best Of Lounge smart playlist contains only 22 tracks but in iTunes I can see all the 32 tracks I put into it. Seems to me as it was an older state of the smart playlist. Do you have live update checked in the smart playlist preferences in iTunes? Thanks very much for that – much appreciated. Big question – it’s completely down to where you play, how you play, how much you want to spend etc. you can find reviews of all the software and hardware in our “software” and “hardware” sections. Feel free to ask specific questions in our forum, too. I use either the Vestax VCI-300 or the Novation Twitch, with Serato ITCH – but I have my reasons for this choice and they’re personal, so it certainly isn’t right for everyone. This is the best article on this site. I only just found it after reading the “desk jockey” article. I’m a Serato user (both itch and SSL) moving from VDJ and my biggest gripe with Serato was that it wouldn’t live update the library (well not natively as far as I know). Coincidentally I just got a new macbook pro and am now happily labelling my music properly and having them show up nicely in my Serato library. Thank you very many muches. ps. Star this article or something to put it on the front page. Hey man, thanks so much for this article, have been frustrated by iTunes lack of tagging capability, having to only use one genre. About to start making playlists for digital DJ-ing (just got Vestax VCI-380 using with Serato DJ)… your idea of using Grouping for multiple tags is a godsend!